Naturally Protect Teeth & Gums. Peppermint-Free. 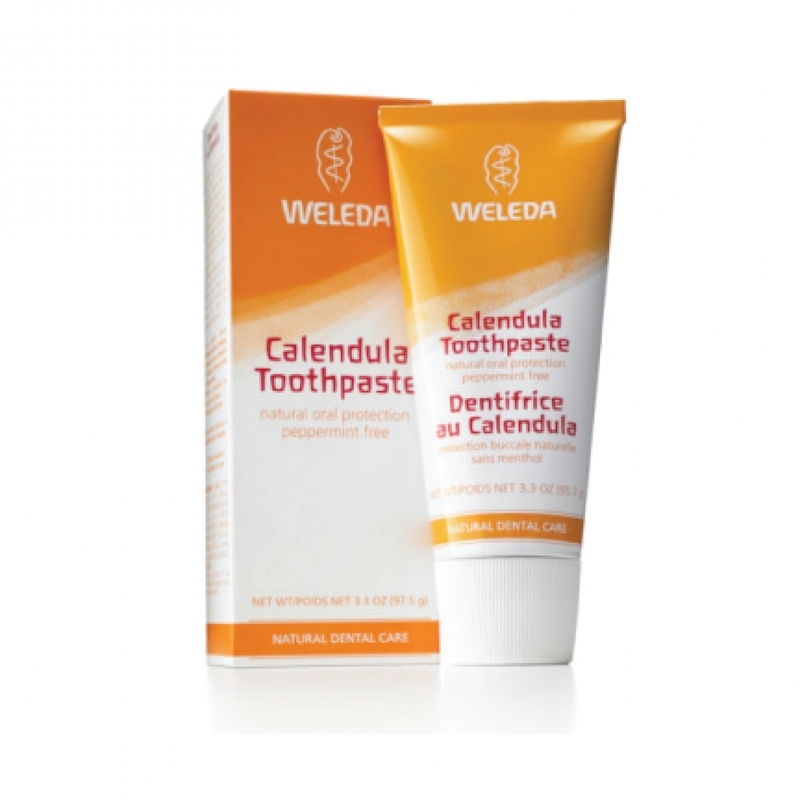 Weleda Calendula Toothpaste effectively cleans teeth and gums with natural chalk and pure plant extracts to prevent plaque buildup and keep your mouth fresh without peppermint. Regular use helps protect against plaque buildup while soothing Calendula helps keep the gum and oral cavity healthy without the residue of synthetic fluoride, harsh detergents or antibacterial ingredients like triclosan found in other toothpastes. Weleda Calendula Toothpaste is developed for users who wish to avoid peppermint oil, for instance, while taking homoeopathic medicines. Gentle fennel oil is an alternative to traditional peppermint oil, leaving the mouth feeling clean and fresh. So go ahead: Smile with a mouthful of happy, healthy teeth. Water (Aqua), Calcium Carbonate, Glycerin, Magnesium Aluminum Silicate, Alcohol, Calendula Officinalis Extract, Commiphora Myrrha (Myrrh) Extract, Foeniculum Vulgare (Fennel) Oil, Xanthan Gum, Ammonium Glycyrrhizate, Limonene*.